Hovercraft is a air cushion vehicle capable of traveling on almost any surface such as land, water,mud,ice and other surfaces easily. Project which we are discussing here runs using vacuum cleaner. It is easier to build as shown in the video given below and economical too. What’s the use of this project? Though it is easy to build project, but it is very useful and creates excitement in the mind of audience about its working and concept. It would definitely helps you to earn good marks . Hello this is student of final year mechanical engineering i found the hovercraft project mind blowing but…. i needed some more information regarding the feasibility of the whole project!!!!! Hello! I am Prashanth studying in Final Year Mechanical Engineering. I came across this Hovercraft project. its very interesting. Give me some Ideas on preparing the model. plz mail me at tprashanth57@gmail.com and tprashanth57@yahoo.co.in. Hi! please sent the details to construct the hovercraft to email ……….raj.mech319@gmail.com,it is so intresting ……………. this is animesh student of final year mechanical engineering i found the hovercraft project mind blowing but…. i needed some more information regarding the feasibility of the whole project!!!!! this is gaurav,student of final year mechanical engineering. 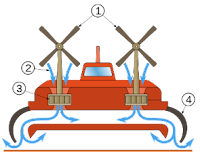 To build a hovercraft is a fantastic idea but i need detailed information about this project. i wil be highly oblidged…..
i want to show hovercrft as my final year project…plz help me….!! please do this favour …. Hello sir…Dis hovercraft is really an awesome proj..plz help me…to do dis..as i'm a final year mecahnical engg…..
sir i find ur hovercraft idea interesting. cud u tell me what kind of engine wud be suitable for a 2 seater hovercraft? diesel powered or electric? sir plz sent some information about material specification of hovercraft. Hello! I am Harkirat studying in Final Year Mechanical Engineering. I came across this Hovercraft project. its very interesting. Give me some Ideas on preparing the model. plz mail me at harji268@gmail.com and chadha_harji@yahoo.co.in. I am a final year mechanical student. I am very much interested about the hovercraft project. Can I know the details about the cost and feasibility of making one which could withstand a normal man on it. Building your Own Hovercraft is not hard as most of people thniks. If you had exact plan in your hand, then you can build your own hovercraft easily and you will not have to spend more money on it. Hi my name is Raghavendra im an final year INDUSTRIAL & PRODUCTION Engg student thinking about a creative & innovative project related to production so please kindly help me out in fullfilling my wishes……My Email ID is Raghasin9797@gmail.com…THANK YOU!!! hi sir.. i am ashish stundent of 3rd year mechanical engg..i like this idea of making hovercraft as a final year project so sir please help in implementation of this idea..My email id is ashish_gupta1209@yahoomail.com…it would be apprecaible….thank u..
Hello this is student of final year mechanical engineering i found the hovercraft project mind blowing but…. i needed some more information regarding the feasibility of the whole project …can u plzzz help me out…. i want some help about my mini project.. The cost of hovercraft is not easy to estimate. It cost around 150 to 160 dollars. I hope it helps! its urgent so plz send the detail as soon as possible. we are thinking of purchasing one and just want to make sure it gets the job done. @vineeth @barry , I hope you both received your mails. hi sir ths is shivu…… i am doing final year mechanical engg….. i want to make project….. plz give some suggestion about this…. my e-mail adress "shivu.spykee@gmail.com" thank u…. hello sir i m a student of mech. final year..sir i want to make a project on the hovercraft..i think it is very interesting to work on it…so plz sir send me its all details….my email address is….tsanju89@gmail.com…. hello sir, i'm varinder , final yr. mechanical engg. student….i need some help and suggestions for making my major project. The topics i'm interested in are thermal,robotics and automobile.Pls suggest something.It would help me a lot. I am Anthony Akpasoh and am a final year mechanical engineering student and I want help on how to go go about my project which is a Garri frying machine or any other suggestions you may have preferably power. My email address is tonipash@yahoo.com. I would really appreciate your response on this. Thank You. Sir, i am doing final year in mechanical engg i wanted to do the project work on hovercraft so i want the details about this project and expenses of dis project please reply me on my email id- s.sonale@yahoo.com ill be waiting waitng for ur reply sir. Sir,this is giridhar doing production engineering third year.i would like you to suggest projects that can be done within Rs.20,000. seeking a project related to automobile due my keen interest.It will be helpful if u can provide some innovative idea. sir i am doing final year mechanical engineering i need ssome detail for projects related to RAC (refrigeration & air conditioning). but it should be economical not too costly. please guide. Hello! I am Harshan studying in Final Year Mechanical Engineering. I came across this Hovercraft project. its very interesting. Give me some Ideas on preparing the model. plz mail me at harshu2405@gmail.com and harshu2405@yahoo.co.in. Ideas on preparing the model. plz mail me at mithushirke@yahoo.com. & provide some more info. & design, specifications of every components. I want to make a project. please provide me some more details on this project at "nishchauhan353@gmail.com". sir i am a final year student of ME i got this project ……but i need some more help of yours plssss send me mail about the construction detail of hover project…..
my mail id is baranwalnidhi02@gmail.com.